"Now, try to keep your eyes open…" Open Road Films has debuted a second trailer for All I See Is You, the latest from director Marc Forster (of Stranger Than Fiction, The Kite Runner, Quantum of Solace, World War Z). This was on the schedule all year, but we barely got the first trailer a few weeks ago. Blake Lively stars as a woman who was blinded in a near-fatal car accident when she was young. She now lives in Thailand, happily married to her husband, played by Jason Clarke. When she receives implants and can see again, their lives and relationship are upended by the truths that come to light. Also starring Yvonne Strahovski, Danny Huston, Ahna O'Reilly, and Wes Chatham. Still don't know what's going on here. 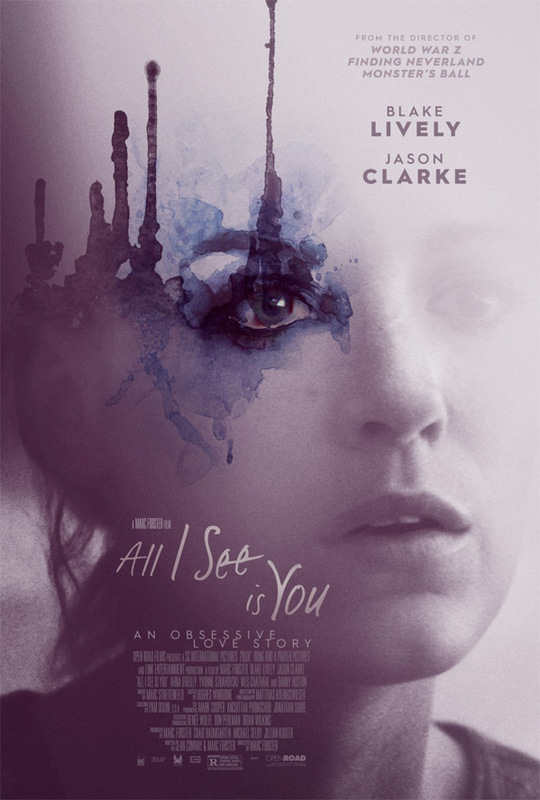 You can still watch the first official trailer for Forster's All I See Is You here, to see even more footage.